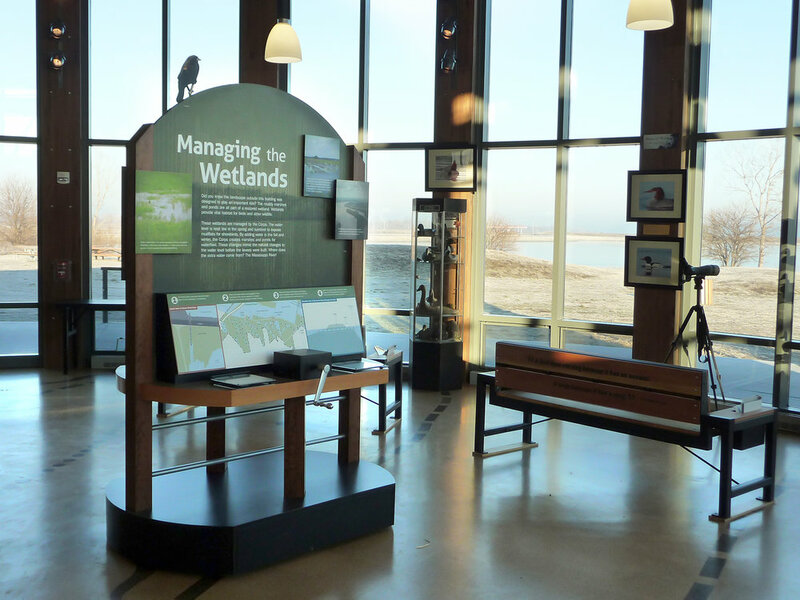 Design, fabrication, and installation of 2,700 square-feet of indoor and outdoor exhibits that accentuate the area’s importance to migratory birds and the Army Corps of Engineers’ restoration of prairie and wetland habitats. Ambient river and bird sounds draw visitors inside the main exhibit area, where 21 large-scale models of the birds they hear are suspended above their heads. 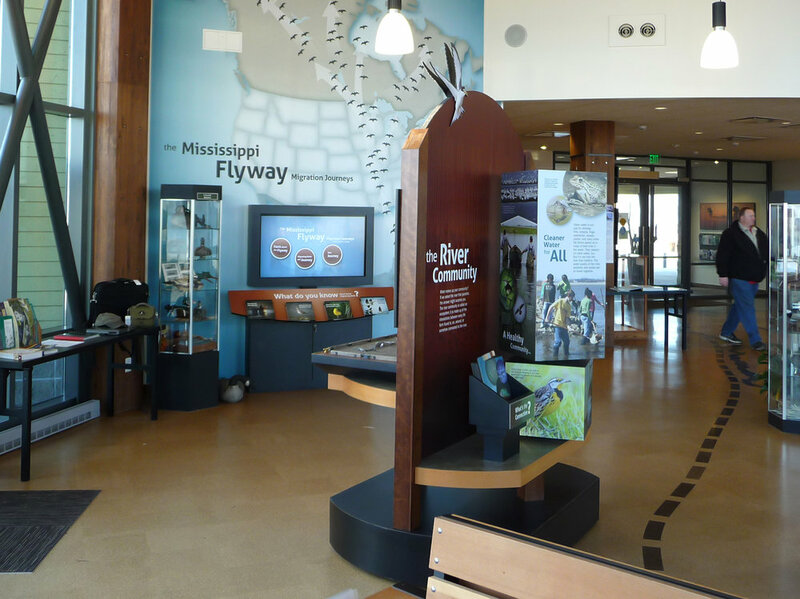 An interactive touchscreen lets visitors investigate the great lengths different bird species travel along the Mississippi flyway. Bird enthusiasts can examine key elements of a bird’s diet, from insect-filled tree bark to aquatic vegetation, under a magnifier. 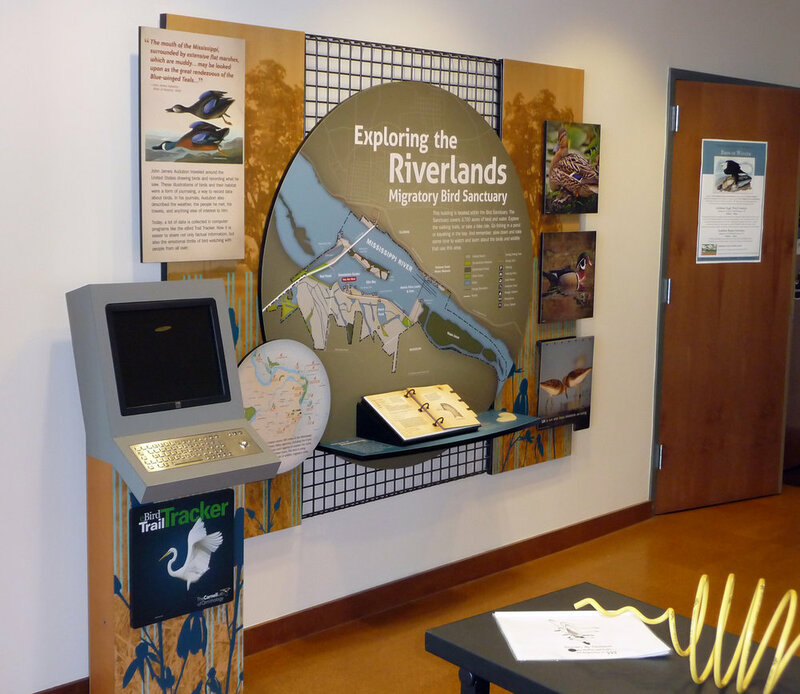 Visitors turn a crank to learn why the Corps manages wetland water levels, and a three-dimensional model shows how the Corps transformed a sand barge into nesting habitat for endangered interior least terns. 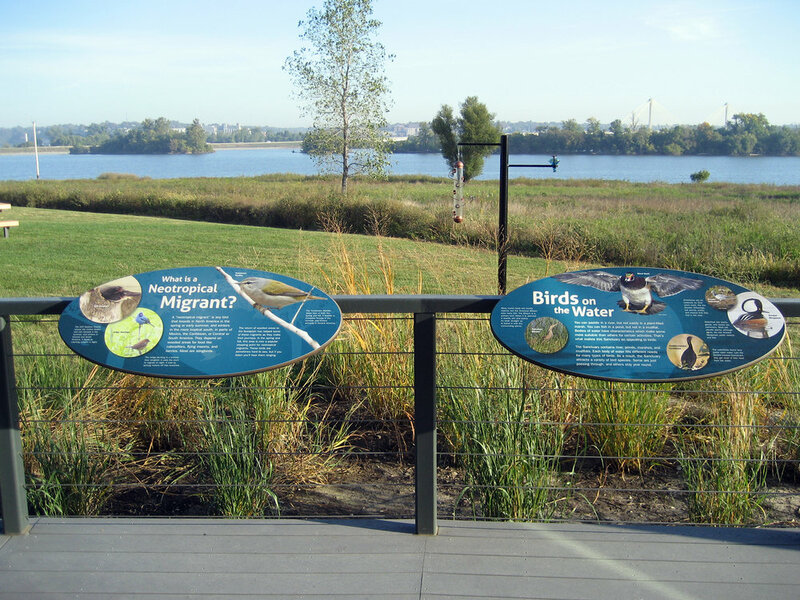 Outside the center, durable panels interpret the diverse habitats of the sanctuary, and strategically placed bird feeders give visitors an up-close view of some of the sanctuary’s residents. 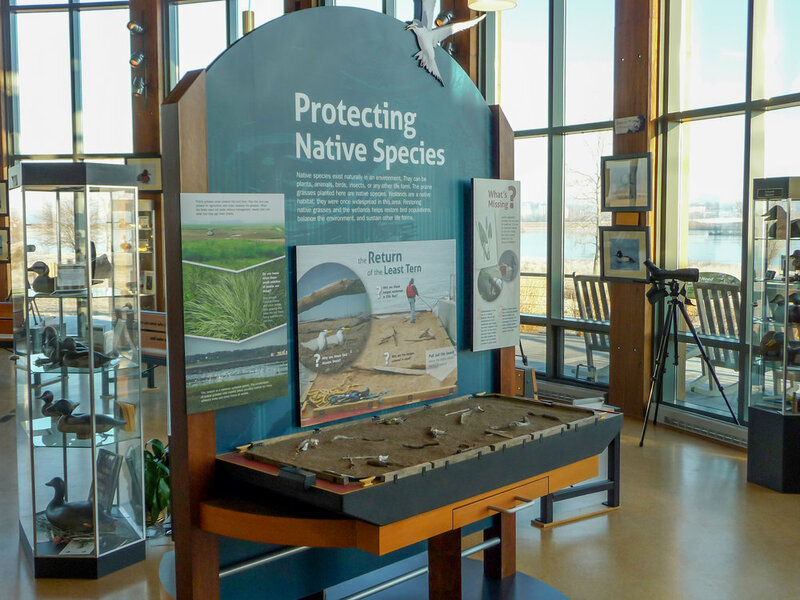 Visitors can follow a self-guided tour of the LEED-certified building’s green features, including large rainwater cisterns made from recycled automobiles, and learn how they can conserve water.